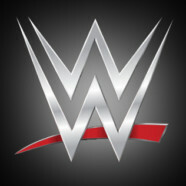 Following an agreement between His Excellency Turki Al Sheikh and WWE Chairman & CEO Vince McMahon, the Kingdom of Saudi Arabia invites the world to the King Abdullah Sports City Stadium in Jeddah, Saudi Arabia on Friday, April 27 at 7:00 p.m. AST to celebrate the Greatest Royal Rumble event in WWE history. Tickets will be available Saturday, March 31, and this historic event will feature seven championship matches, including the WWE Championship, Universal Championship, Intercontinental Championship, United States Championship, Raw Tag Team Championship, SmackDown Tag Team Championship and Cruiserweight Championship. In addition to the seven Championship matches, the event will also include the first-ever 50-man Greatest Royal Rumble match. Fans will get to see WWE Superstars John Cena™, Triple H™, Roman Reigns™, AJ Styles™, Braun Strowman™, The New Day™, Randy Orton™, Bray Wyatt™ and Shinsuke Nakamura™, among others. Additional ticket details and broadcast information will be available in the coming weeks.